Up and running in minutes, TroubleBox gives you the ability to see, capture, and troubleshoot the fastest details of your high speed process in perfect ultra- slow motion. Process optimisation, maintenance and problem solving has never been easier, thanks to TroubleBox’s simple Windows interface, easy to use slow motion software, and high performance camera system. TroubleBox is available in 2 formats according to operating environment and user preference – either a transportable Pelicase or Stainless steel trolley chassis. Both configurations feature the same high performance, industrial grade PC system and onboard storage for all accessories, meaning that TroubleBox is ready to be deployed in seconds anywhere on your production line. TroubleBox utilises the very latest Gigabit ethernet data transfer technology and combines it with high definition optical zoom lens technology. This powerful combination gives you the ability to capture and analyse the very fastest details of your process at whatever magnification you like, and from whatever distance you like. TroubleBox’s simple user interface can be mastered in just minutes, adding value immediately to your processes through minimal training, and an enjoyable user experience. Simply aim the camera at your high speed process, start recording, and enjoy frame by frame slow motion video of your process. All captured video can be easily exported onto a USB stick and into a variety of popular formats including QuickTime® and AVI, or as individual thumbnails with microsecond timestamps. Every TroubleBox system includes a comprehensive accessory kit consisting of a series of universal mounts and clamps. These accessories enable easy and rapid mounting of the camera and powerful 1400 lumen LED floodlight to almost any surface or mounting point in any type of machine or process, and inside most safety barriers. 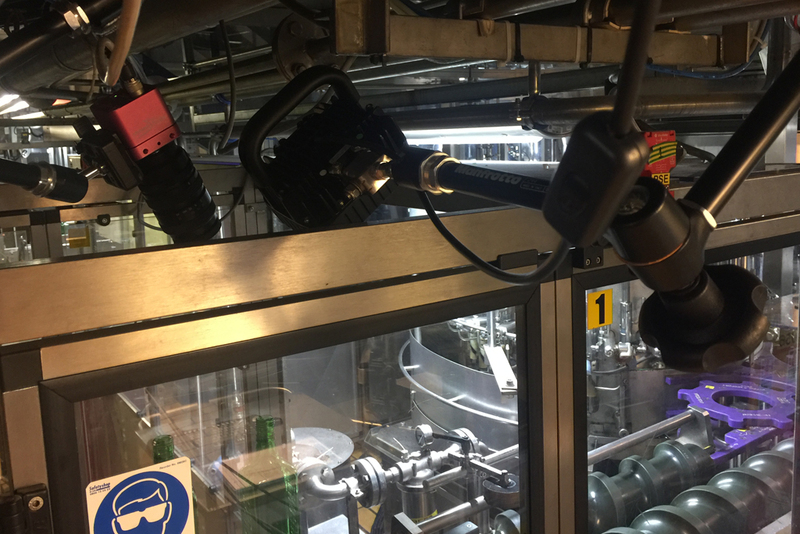 With an accessory range including vacuum mounts and waterproof camera housings, TroubleBox is adaptable to virtually every industrial environment. TroubleBox is designed to grow with your process. The system includes many advanced features as standard, including the configurable pre-record buffer, ensuring that the very fastest events can be captured by any user of any ability. The systems can be configured with a powerful supervisor mode – a motion detection trigger that is able to automatically detect and capture the fastest events with zero human intervention. Finally, with the optional I/O control module, TroubleBox even has the ability to be triggered by your process controller in the event of a system stoppage.